We Are Houston Arts Partners from Mary Mettenbrink on Vimeo. 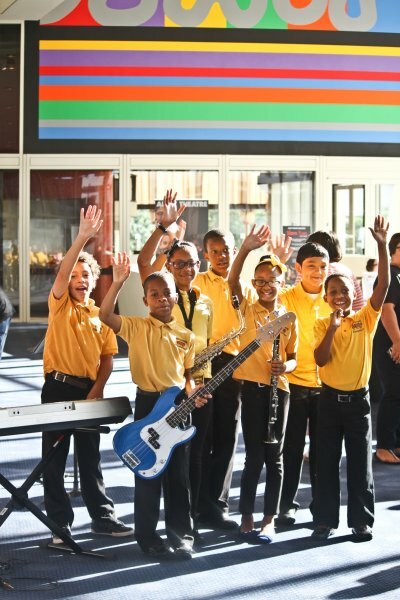 Young Audiences of Houston, with area school districts and arts organizations, successfully kicked off the fourth annual Houston Arts Partners Conference at the beginning of September. 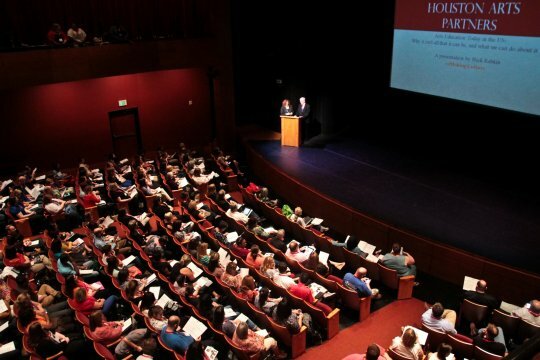 The conference took place at the Hobby Center for the Performing Arts in Houston. The Houston Arts Partners Conference combined a dynamic dialogue between national arts-in-education leaders and conference participants with inspiring presentations to create a weekend that benefitted the community, educators, and district administrators in their goals of furthering arts-in-education. H.E. Luccock said, “No one can whistle a symphony. It takes a whole orchestra to play it.” That was exactly the mentality that led the members of the Houston Arts Partners to join forces; they didn’t want to whistle the importance of arts education by themselves, but rather play the symphony with a full orchestra for the world to hear. Houston Arts Partners is a coalition of nonprofit arts organizations and 53 Houston-area school districts -managed by Young Audiences of Houston- working together to ensure that all students have access to a complete arts education. The organizations involved in this collaboration realized that while they might be successful on their own, by joining together and pooling resources, they would be even better equipped to help the students they were trying to reach. Some of the organizations involved in this partnership include the Houston Grand Opera, the Houston Symphony, and the Houston Museum of Fine Arts. To complement the new collaboration, the Houston Arts Partners Conference was born. The Houston Arts Partners Conference was created as a resource to give member organizations the opportunity to come together every year and share their organization’s experiences as well as best practices in order to help formulate a plan for how to best serve their students. While the conference is primarily about building up the participating organizations, it also serves as a platform from which these groups can make their goals known to their legislative partners at the local, state, and even federal level. Mary Curry Mettenbrink, the Executive Director of Young Audiences of Houston cannot express enough the importance of sharing their mission and getting their cause known across the nation. 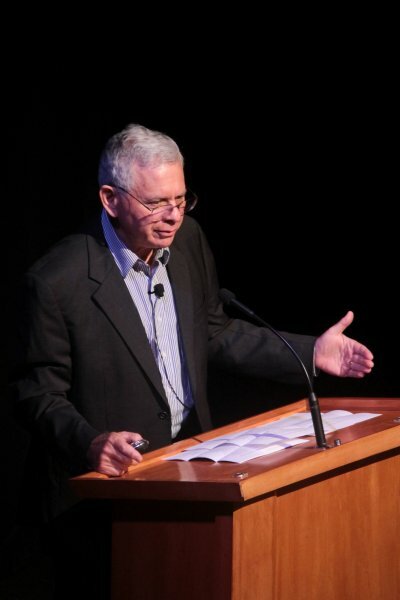 This year’s conference, in its fourth iteration, titled “The Global Classroom: Cultures and Communities,” had by far the largest turn-out so far, drawing a record-breaking 870 participants led by co-chairs Rozie Curtis of Theatre Under The Stars and Larry Matysiak of Cy-Fair Independent School District. The participants had the chance to partake in 21 different Arts and Culture Integration presentations, experience performances by Theatre Under The Stars cast members, Da Camera Young Artists, and the MacGregor Elementary Jazz Ensemble, and sit in on 8 panel discussions with experts in many aspects of the arts education field. The 2014 HAP conference also allowed participants the opportunity to share in the passion and expertise of national speakers such as Nick Rabkin, a Chicago based arts consultant, planner and researcher, Dr. James Haywood Rolling Jr., a professor of Art Education and Teaching & Leadership at Syracuse University, and Dr. David Eagleman, a Neuroscientist and New York Times bestselling author, bringing to the forefront topics ranging from Arts Integration to Shaping Creative Leadership and STEM to STEAM. Houston Arts Partners looks forward to having the chance to share this experience with even more people next year at the 2015 Houston Arts Partners Conference.